A Designer Test Blog can help you test a design on a live blog during your creation process. You'll be able to test a single design at a time on the test blog. The test blogs are a complimentary service for subscribed designers who are creating site designs for additional users. Any designer with an active subscription can request a "Designer Test Blog" by starting a new support message inside of the Showit application. 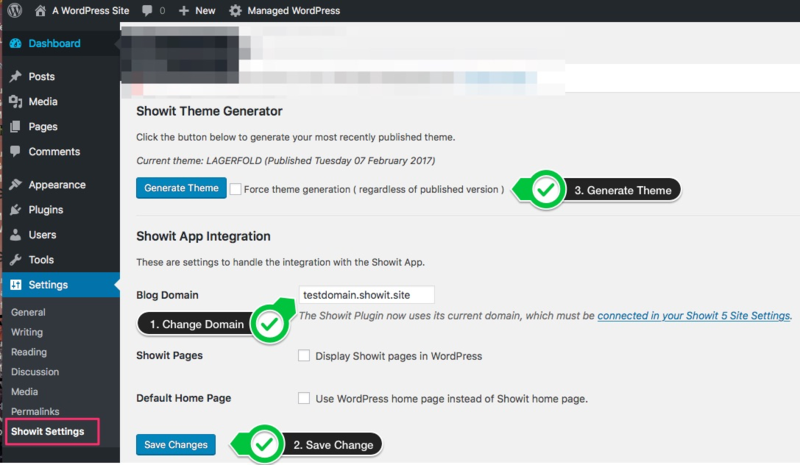 If you've been setup with a test blog you can follow these steps for changing the site that loads on your test blog. Replace the Blog Domain setting with the domain of the site you want to test and Save the change. Visit your test blog URL to see how the site and blog load. The blog should load by adding /blog to your test blog URL. **If you're setting up static Demo Blog Pages, those pages won't load when connected to your test blog. Be sure to always manually go to your /blog/ page to make sure your design loads correctly with the test blog content.